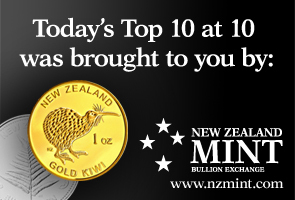 I welcome your additions and comments below, or please send suggestions for Tuesday's Top 10 at 10 via email to bernard.hickey@interest.co.nz. Remember that registered commenters can more easily include links out in their comments. Use the box in the right hand column to register. We're turning off unregistered comments from September 12. I'll pop any surplus suggestions I get into the comment stream under the Top 10. 1. 'The Waltons way off beam' - Gareth Morgan doesn't pull any punches in this exoriation of South Canterbury Finance in the NZHerald. The firm's penchant for capitalising interest - a stunt that signals loud and clear a lender assuming a quasi equity position under the guise of so-called lending; its pursuit of deeper subordination to other creditors in its lending practices; the extension of its lending to activities that historically it wouldn't have a bar of and its loose governance of the rights of depositors - all belied its "mom and pop" persona of country values. In this instance, the Waltons were way off beam. Farm prices have long been driven up to unrealistic levels where the income yield no longer matters because it's all about farming for capital gains. Farm prices have long been driven up to unrealistic levels where the income yield no longer matters because it's all about farming for capital gains.That asset class continues to defy gravity - courtesy of petrified lenders too scared to set off a domino value demolition - and remains overvalued on any fundamental basis. The Reserve Bank has moved to direct the banks to be more prudent here but until income yields on those assets are at the 6 to 8 per cent mark, the sector's value will remain on the endangered list. This is my favourite line. The net result is a landscape littered with half-baked hotel, apartment and vineyard developments, a rising count of empty buildings as tenants signal they cannot afford yesterday's rent rates and a mass of residential property owner-occupiers in denial about the real value of their houses. Gareth also fires off a shot at the Reserve Bank and the way its prudential rules have effectively encouraged banks to lend against land and property. Reserve Bank prudential policy, wherein it has directed lending institutions to favour lending on property over all other forms of lending - in a jurisdiction where there is no tax on capital gains - has been the poison pill that has contaminated New Zealand's economic prospects. If New Zealand is going to go forward in any sort of sustainable way after this meltdown of asset prices that still threatens, then the rules governing our financial sector must align with the goal of sustainable economic growth. A public self-examination is overdue for Reserve Bank governance of the banks - and we all agree, don't we, that taxpayer-guaranteed banks these days are little more than arms of government lending policies. Bring it on. 2. Poor possums - Macquarie Bank, or the Millionaires factory as some call it, has issued its third profit warning in three months as activity in the markets grind down and its great scheme of leveraging itself up is unwound. Ian Verrender at BusinessDay in Australia captures the mood. The way Macquarie engineered not just a government guarantee but a short selling ban on financial stocks in those mad months in late 2008 is still astonishing. The way it then went on the rampage to engineer yet more multi-million dollar bonuses beggars belief. The sheer cheek of it is astounding. Let us not forget the federal government guarantee on banks borrowing overseas, a masterstroke by Kevin Rudd and Wayne Swan. Macquarie dived into the taxpayer guaranteed pool and spread almost $20 billion of our largesse around the globe, snapping up debt wherever it could, providing an income for the Silver Doughnut and helping prop up those massive bonuses. That's your taxpayer funds at work. A few years ago Macquarie was a global leader. Every investment bank in the world was trying to figure out the infrastructure scam; how could Macquarie buy all this boring rubbish at way above market price and make such enormous profits? By the time everyone else figured it out - you hived it off into a separate structure, gouged out fees and paid the dividends out of debt - Macquarie was so far ahead of the pack that those following were simply propping up asset prices and making it even more successful. But that bubble has burst. Macquarie may have profited with one final gouge of the likes of Macquarie Airports, when it exited with a massive termination payment, but unfortunately those golden days are gone. It now must rely on such dull fodder as stockbroking, foreign exchange, commodities trading, bond selling and its deal-making engine room, Macquarie Capital. 3. Euro crisis far from over - Wolfgang Munchau at FT.com wonders why everyone in Europe is so relaxed. He points out the most liquid markets, the bond markets, are far from relaxed. Last Friday, the spreads were 3.4 per cent for Ireland, 9.4 per cent for Greece, 3.4 per cent for Portugal, and 1.7 per cent for Spain. The yield on 10-year German bonds is currently ridiculously low, about 2.3 per cent. The financial markets somehow regard Germany as a paragon of virtue, stability and sound financial management, and are happy to demand virtually no return on 10-year investments. If the bond markets were ever returned to normal, and if the spreads were to persist, peripheral Europe would find itself subject to an intolerable market interest rate burden. To guarantee the solvency of the eurozone’s periphery would require not a few quarters of solid growth, but an entire decade. I am at a loss to understand how countries still recovering from an enormous asset implosion can generate so much growth. We can either dig our head in the sand or prepare for the inevitable – that one day a eurozone state will either default, or, more likely, be forced to restructure its debt. It is important not merely to accept the principle, but also to make the institutional preparations for an orderly default of a eurozone member. It is going to happen. 4. Anglo Irish Bank may be wound down - The Irish government is set to wind down the bank at the heart of the Celtic Tiger's economic implosion. Not a moment too soon, it seems. The DailyMail Online has the story. Zombies are best killed immediately. The Irish government has conceded that it may have to wind down Anglo Irish Bank, if it proves vital to keeping the country solvent, the republic's finance minister Brian Lenihan said yesterday. The minister is expected to ask the european Commission to allow ten years in which to close the lender. 5. The impotent Fed - Goldman Sachs' chief US economist Jan Hatzius reckons any Federal Reserve Quantitative Easing (QE) may prove relatively fruitless, Zerohedge points out. Every US$1 trillion of bond buying/money printing is likely to 'buy' just 0.5% worth of growth enhancement. Essentially America already has too much debt and adding yet more debt is like flogging a dead horse. What it really needs is deleveraging via debt repayment or debt restructure. Either is very painful in either long run or short run respectively. There is no easy way out. How effective is a return to QE likely to be? The uncertainties are enormous, but Jari Stehn’s analysis of the first round of QE in late 2008/early 2009 concluded that it pushed down 10-year Treasury yields by 25bp and eased the GSFCI by 80bp per $1 trillion in purchases. We suspect the next round would be less effective in terms of easing financial conditions, not because of a smaller impact on riskless long rates but because there is much less room for spread compression in the credit markets. So a 50-60bp easing in the GSFCI (relative to what would happen without QE) may be a more realistic expectation. Based on historical linkages, this is worth about ½ percentage point on growth, or a bit less given that the mortgage refinancing channel of transmission is clogged by the large number of households in negative equity. If this is the right order of magnitude, a $1 trillion purchase would not have a dramatic effect on growth, but would not be insignificant either. 6. Obama's US$50 billion infrastructure spending plan - President Obama is now talking about spending US$50 billion quickly on infrastructure, the NYTimes reports. He is also pushing a US$200 billion tax break for businesses, the WSJ reports. That's a cool quarter of a trillion in extra US borrowing right there. 7. The problems in Europe's banking system - Despite the Greek bailout and the Euro bank stress tests the intensity of the funding crisis inside Europe's banking system has not abated, Zerohedge points out. Today, the ECB announced one sole bank was allotted $60 million USD via its Fed-swap facilitated liquidity providing operation. At a comparable operation last week, the ECB announced that just one, almost certainly the same bank, had requested $40 million in dollar-denominated funding from the ECB. What is troubling is not that just one bank requested such a paltry sum of capital to last it for another 168 hours, but that precisely one bank did, indicating that the funding situation is so bad in Europe that a bank is unable to find a token $40 million in the interbank market and via traditional means, that it is forced to beg to the institution of last reserve, the ECB. 8. The truth about those stress tests - The WSJ's David Enrich reports the stress tests were not all they were cracked up to be. At the time, many analysts and investors greeted the data as a much-needed dose of clarity since the murkiness surrounding bank sovereign-debt holdings was fanning fears about the health of Europe's banking system. The banks' publication of that data was seen as the main benefit of the stress tests, which were widely panned as being overly lenient. But a closer examination of banks' disclosures indicates that some didn't provide as comprehensive a picture of the institutions' holdings as European regulators claimed. Some banks excluded certain sovereign bonds from their tallies, and many reduced the sums to account for "short" positions they were holding—facts that neither regulators nor most banks disclosed when the test results were published in late July. 9. APRA gets serious - The Australian banks have been saying for some time that they deserve special treatment under the tough new Basel III rules on capital because the Australian banks were more responsible and safer than the reckless Northern Hemisphere ones. Eric Johnston from BusinessDay reports on the various comments. APRA, the Australian regulator, is not having a bar of it. Various APRA folk spoke yesterday about how the Australian banks would have to buckle down and have more capital, less leverage and higher quality, more liquid assets and funding. The inevitable result will be more cautious and more expensive lending, along with more expensive funding. In the long run that means less support from credit for asset prices such as land and property. Capiche. AUSTRALIA'S banking regulator has told lenders there will be no local exemptions from impending tough global banking rules aimed at preventing financial shocks. The Australian Prudential Regulation Authority has also insisted it will not automatically water down existing local bank rules if the new global proposals fall short. 10. Totally irrelevant video - Stephen Colbert does his thing. Eh, we just bought a house at a 3:1 ratio, and we're reasonably typical people - young professional couple (both 25) in Tauranga, both earning an average wage (or just slightly over). Honestly housing just isn't as unaffordable as people make out. Banks were happy, in fact eager, to lend to us. What happens when you want to have a family, Chris? Or do you sacrifice that for the house? "We'll wait till my income covers all the costs" is the usual answer. But, that day never seems to arrive. Then it's all too late. It seems to me that the lure of home ownership has become a trap for many couples, who over-stretch themselves and effectively curb their freedom to exercise choice in other areas of life. As a recent first time mother, I count my blessings that we have not stressed ourselves with mortgage repayments that require both of us to work full-time (and some). I get to spend as much time with my daughter as I want, and have the freedom to find a work/family/other bits-of-life balance that feels right for me. The real problem is a system geared to protect and retain distorted bloated property prices...a system that relies on stupid behaviour which has been fine tuned with an endless stream of effluent and cheap credit...fully sanctioned by govt and the RBNZ. Take away the credit and the whole sorry pile of shite would collapse in one week. And so in the interests of keeping the "game" going as Spencer at the RBNZ terms it...Bollard tickles the rate to goose the market and the Cabinet is happy to see the RE pimps plonk in the middle of the NZ expo site in Beijing. Foreign dosh...regardless of stench...is welcomed as a helping hand...a means by which the insane bubble that buggers the economy can be kept going on and on. Chinese munny would quickly get the bum's rush if it were 50% below the bubble prices! Morgan does a good job - right up to the last line. "Sustainable economic activity, commensurate with the rights of future generations to have some kind of a life". Bring - as you say - it on. pdk - I agree Gareth did a great job and I like your suggested re-phrasing...., but hey, I say AMEN to his forthright manner in 'sticking it up the status quo'. Re # 2. I recall in the mists of time that if one joined Macquarie as a trader it was said that " if you didn't become a millionaire in 10 years, you weren't good enough, and would be out". These days, if your total remmuneration package isn't $1mio per annum, you aren't good enough! So you bought a property that returns at least 15.5% before tax, rates, depreciation, insurance and maintenance? Just the difference between 7% financing and an apparent 8.5% gross yield ( much less than money in the bank) doesn't look too good on the face of it. Don't leave school yet Nicholas. Don't worry, arithmetic seems challenging at first, but you'll get it eventually. Left school many moons ago, Chris. And work, after a few years in Investment Banking. It's my sums that allowed me to call it quits early. I'm gonna go ahead and not believe you, because your sums above are so unbelievable wrong it's embarrassing. For you, that is. You know what? I'll concede that I don't have 'The Stars Guide to Real Estate Riches, Handy Guide to Break Even Calculations' in my pocket. But to me, to get a yeild of 8.5% after paying 7% interest first, you've got to start somewhere around the 15.5%. If it's less because of tax minimisation etc., fine. But any property bought on tax based incentives, like any tax based asset, is no long term, sure thing. Not quite straight away AM. You will need to give your tenants 42 days notice. Then some other lucky landlord will accomadate your fabulous tenants. The same psychology that drove a property bubble "up" can reverse direction. Instead of "buy now before the prices rise", it is "wait for the prices to fall some more". Instead of "it hasn't reached top yet", it's "it hasn't reached bottom yet". It would really help if there was some sanity instead of all the cheerleading, during the "up" phase. I think Wall Street has been scapegoated far too much in the USA. The Real Estate profession is at least as guilty. I notice in "The Big Short" by Michael Lewis, he says that buyers telling lies on their mortgage applications is commonplace during the first phase of a bubble, then lending institutions letting them get away with it is the next phase. I need some insight to the Chch property market. How are your rentals doing? The rise of the Chinese military, we are allowing ourselves to become a "core interest" of China. Will we be able to push our position against a one sided trade agreement AND an overwhelming military force? “The young officers are taking control of strategy and it is like young officers in Japan in the 1930s. They are thinking what they can do, not what they should do. This is very dangerous. “They are on a collision course with a US-dominated system”. Harvard Professor Niall Ferguson rattled me even further with a talk warning that the Chimerica marriage of the last generation is “on the rocks”. “China gets 10pc growth: the US gets 10pc unemployment. That doesn’t seem the basis for a happy marriage,” said Prof Fergusson,"
KiwiD: Good for us (rest of the world) the chinese are not an expansionary nation. They will press all the commercial buttons to get the largest share of every business they engage. They will force the price chain in their favour by targeting the property and if a country refuses to agree they will simply move on and cut commercial links with that country. They have aquired extensive land in Africa rich in agriculture, cattle and mineral resources. Their previous experience has warned the Chinese to be cautious about westerners. Because in the past all trade relations with the west have ended in tensions that have gone beyond the grounds of trade. It is no secret that they are engaged in a lage scale militar developement, and that a large ammount of the iron ore they are buying from Australia goes to manufacture war ships as much as it goes to railway lines. Wouldn't it be the biggest irony in history that the iron ore that Australia sold went to building the fleet that could become a threat to it's shores ?, If there is a country that the Chinese would military target that would be Australia... But I belive that the Chinese army and navy are there to defend their home land from the West... not to invade it... but just in case I'd rather live in the other side of the world if that timezone became unstable. "Let it be said in China’s defence that it occupies no overseas military bases, and has no modern history of projecting imperial power." is just plain wrong, Chinese imperialism is rampant in Africa. Even in our backyard, the donation of civic buildings in Rarotonga is motivated by China's lust for the Cooks fisheries resource.